Ceado is a leading Italian company that crafts exceptional coffee grinders, which are the latest generation electronics, combined with the reliability and innovation of Ceado products, like the SCC, Static and Clumping Control system, has resulted in a product that keeps all the best qualities of the coffee intact. 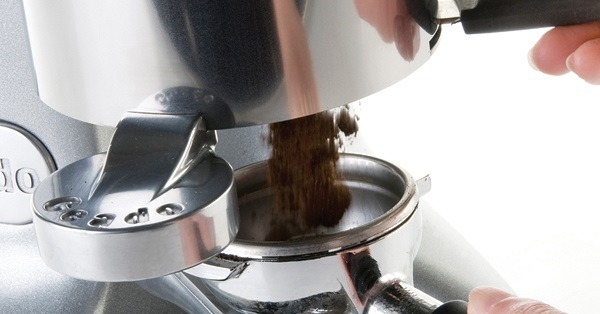 This is why Coffee & Equipment supply Ceado Grinders for freshly ground coffee every time. 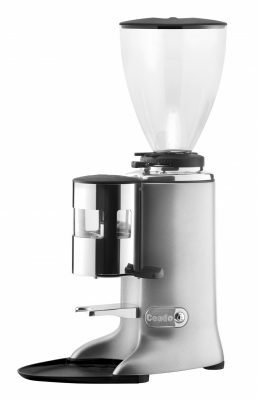 Since 1952 Ceado have been designing and making electronic and doser coffee grinders, and exporting them worldwide and we supply them to you in Central Otago, Timaru, Ashburton and Waitaki District. They are renowned for their Steady Lock Grinder system, unique in the world, which ensures a consistent interval between the burrs, maintaining the chosen grinding consistency. 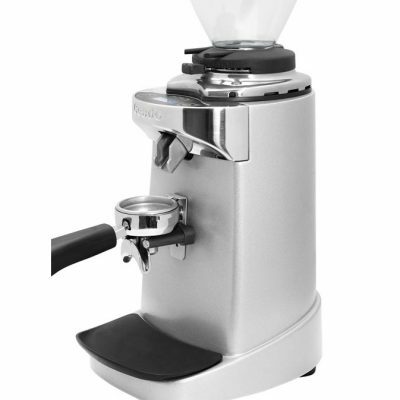 Revolutionary stepless grinding adjustments ensure a simpler, faster, and more accurate result. The Quick Set Revolution and Steady Lock Grinder system take today’s standards of precision and user-friendliness up into a new dimension. E7 is suitable for premises with medium turnover. Steady Lock Grinder – unique in the world, this system ensures a constant distance between the burrs, perfectly keeping the chosen grinding consistency. Quick Set Revolution – revolutionary stepless infinitesimal grinding adjustment for a simpler, faster, more accurate result, making it simple to obtain required particle size. Strong, reliable materials – light alloy housing, asynchronous motor with thermal cut-out & polycarbonate hopper.- 3 year guarantee on product, lifetime guarantee on doser spring. 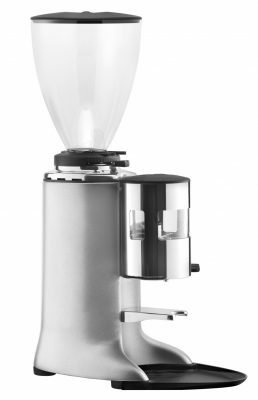 Engineered for quiet – The innovative mechanical suspension of the motor is soundproofed to make Ceado coffee grinders the quietest on the market. The Quick Set Revolution and Steady Lock Grinder system take today’s standards of precision and user-friendliness up into a new dimension. Suitable for premises with high turnover. Perfect dosing – The ground coffee will always fall in the right place, in the middle of the portafilter. The sections of the doser have been designed to compact the dose. Coffee ground with consistency and precision. Boasting the lowest motor RPM on the market and personalised burrs, E15 goes beyond the expectations of any high-level expert. Consistency – Motors with locked bearing optimise heat dispersion and prevent thermal expansion from affecting the particle size by keeping grinding constant, whatever the working conditions. The top model in the flat burr’s series, faster and with improved performance thanks to the customised burrs in titanium. Equipped with an automatic system for controlling the temperature in the grinding chamber, it is able to guarantee perfectly consistent results for coffee. Steady Lock Grinder – This system, unique in the world, ensures in any working stress condition a constant distance between the burrs, allowing to keep the chosen grinding consistency. Active Thermal Control -The exclusive automatic thermal control system protects the consistency of the coffee from the excessive peaks in temperature normally created in the grinding chamber. 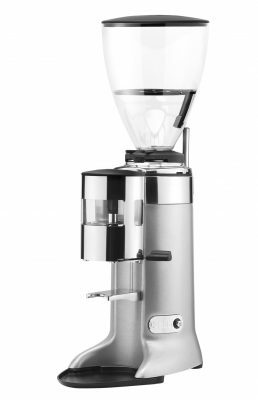 Silent System – The innovative mechanical suspension of the motor and the soundproofing make Ceado coffee grinders the quietest on the market. Quick Set Revolution – Revolutionary stepless infinitesimal grinding adjustment for a simpler, faster, more accurate result, making it incredibly simple to obtain the particle size best suited to each type of coffee. SCC Control – The innovative static and clumping control system, brings out the very best in each blend. Dimensions -212w x 309d x 635h mm. Smart Service – The anti-clogging system and easy access to the burrs make maintenance operations simpler & less expensive. Freshly ground coffee every time, with consistent, precise performance. With the lowest-speed motor on the market, customised burrs, and latest-generation electronics, even the most demanding coffee connoisseur is sure to be more than satisfied.